The No Left Turns traveled in style. Well, perhaps not at first. As the amount of equipment we lugged around continued to grow, it became harder and harder to get all of it to gigs in fewer than three cars. Unlike today’s SUVs, pickup trucks and crossovers, the typical family car back then was a sedan. And while station wagons were popular, Dad traded in our family’s DeSoto wagon, a purple and white two-tone beast, for a shiny blue Pontiac Catalina sedan. Not inclined to entrust the new family car to me and my bandmates, I was offered the use of his work car, a Studebaker Lark. It was a cream white, two-door model with a standard shift on the column. Cool! I could just about fit all my stuff and half of my cousin’s stuff into it. The other half of Mike’s gear and everything else were left to fate. Sometime around the fall of ’66, Mike’s dad acquired a trailer frame. It started out as just a plain old steel frame with two wheels and a tongue, but Uncle Bob transformed that hunk of metal and rubber into one magnificent hauling vehicle. First, he constructed a plywood enclosure to mount on it, three solid sides and a roof. He included a set of hinged double doors on the back end that opened out for loading, and closed with a hasp and padlock to keep them shut while hauling gear around. Then he painted the entire thing jet black. But he didn’t stop there. To personalize it for us, Uncle Bob stenciled the band’s name on both sides, surrounded by our individual names. He spiffed it up even more by painting a baby blue guitar under the band’s name. We proudly hauled our gear in that trailer, pulling it behind my Dad’s Studebaker. No photos of the trailer were ever taken and even if pictures did exist, they’ve long been lost. That unfortunate circumstance in mind, I’m left to reconstruct a semblance of the trailer’s stenciling from memory: Carrying around our band equipment for miles on weekends, that trailer allowed all of us to travel in one car, with me at the wheel. It wasn’t unusual to see it parked at the Hollywood Drive-In late at night after returning from a gig. There we’d order fish and chips dinners and pay with cash from the night’s receipts. The car would get a little crowded after Jim joined the band, but there was plenty of room in the trailer for his Farfisa organ. Uncle Bob made him feel welcomed by stenciling his name between mine and Mike’s. On the first day of summer recess, Mike, Tony and I drove the empty trailer away to check the tire pressure and add some air. On the way back to my house we heard a strange rattling sound. Pulling over to investigate, we found a few loosened bolts that secured the box to its frame. Not having a wrench on us and fearing the trailer would shake apart, we unhitched it. Tony and Mike would stay behind while I’d go home to retrieve a couple of wrenches. It remains unclear exactly who did the unhitching, but driving off, I heard both Mike and Tony yelling “Stop! Stop!” while I watched them frantically waving their arms in the rear view mirror. I braked, but it was too late. Someone had forgotten to disconnect the electrical harness to the trailer’s rear lights. About twenty feet of wire now lay on the pavement between the car’s hitch and the trailer’s tongue. The ensuing argument lasted only seconds as Tony picked up the wires. Radio volume turned up to drown out further rattling, we returned the trailer to Mike’s house where, sometime after Tony and I escaped, Mike was left to explain the day’s events to his dad. The trailer was back in service by our next gig and we never spoke another word about the incident. The No Left Turns even gave up trying to learn the song, Stop! In the Name of Love, three of us cracking up at every attempt, leaving Jim and Bruce to wonder just what was so damned funny. It’s the middle of January and it’s miserably cold. The dog shakes himself head-to-tail, then runs under the table when I approach with his leash. Finally, I coax him into going outside with me because I know, and he knows, there is some business to which he must attend before calling it a night. It’s miserably cold. The duo left the stage and were replaced by some guys closer to my age. Kris asked me to join them so I uncased my guitar and set about plugging in, placing my binder of songs on an unused music stand. Making our introductions, we tuned our instruments and decided to warm up with a little rock and roll. 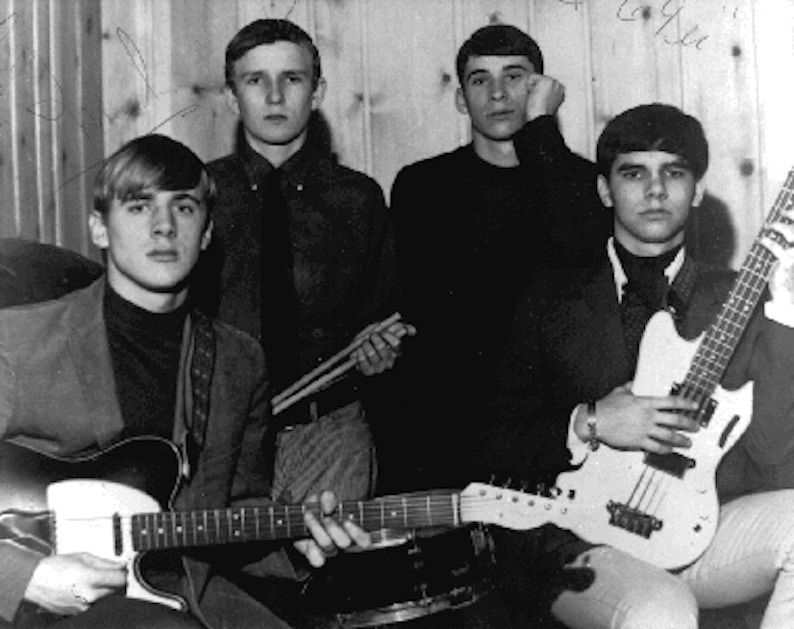 These guys all knew each other and played together often as a garage band. I felt like an interloper until they asked if I could sing a Tom Petty song from their repertoire, Running Down a Dream. One of them handed me the lyrics. “Let’s rock,” I said. And with that, we kicked off a forty-five minute set. 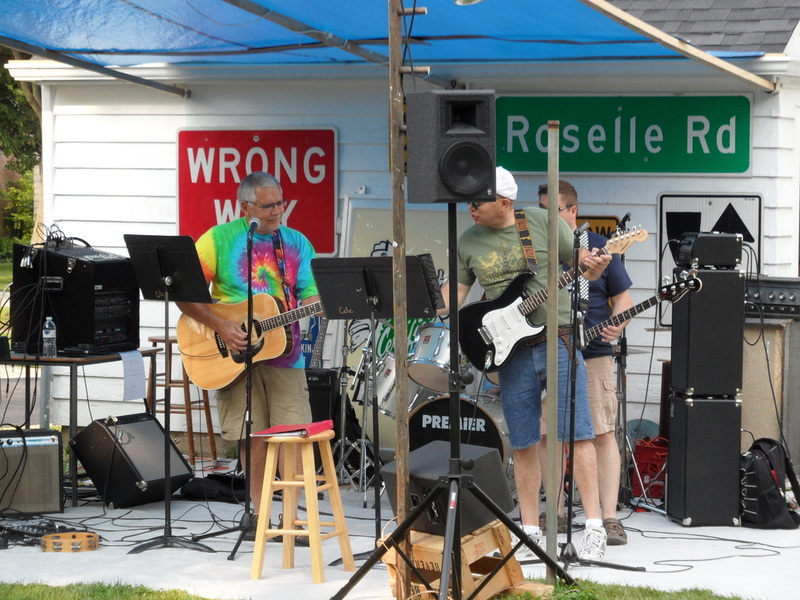 The four of us, lead guitar, bass guitar, drums, and me on vocals, did two more numbers from their song list, Spirit’s I Got a Line On You and ZZ Top’s Sharp Dressed Man. I would have been lost without their lyric sheets. One of them pointed to my guitar, which I’d surreptitiously placed on its stand just before we started. He suggested I pick it up and we play some selections together from my binder. Paging through it, he was happy to see chord symbols accompanying the lyrics. By the time I’d strapped on my guitar, the guys had already selected some tunes, beginning with the Beatles’ Eight Days a Week. 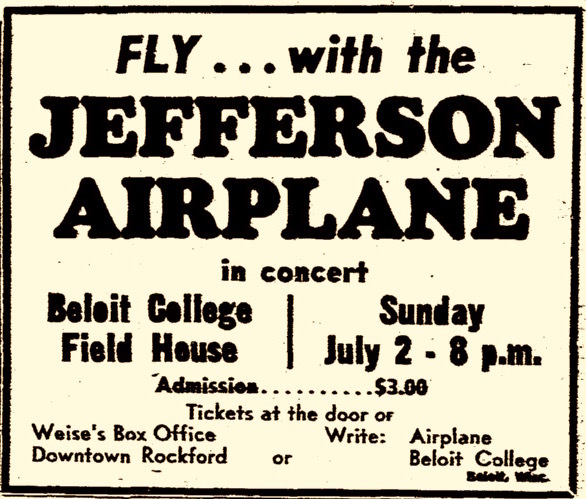 This was followed by Roy Orbison’s Oh Pretty Woman, and Jethro Tull’s Locomotive Breath. We were warmed up now. A pair of challenging tunes by Pink Floyd, Brain Damage and Eclipse, and I thought we were finished. It was then our host, Kris, joined us on electric piano. “Let’s do Moondance,” he shouted. Kris and I had played Van Morrison’s Moondance together on a couple of previous occasions and it was one of our favorites. The band jammed on it for about ten minutes, with piano and guitar trading riffs between verses. Finally, we closed the set with Tommy Tutone’s 867-5309/Jenny. What a way to celebrate a Fourth of July afternoon! Hopefully, the sign behind me was not indicative of our performance. The phonograph needle glided into the last track on side one. Up until that point, I was more engrossed in writing an essay for American History class than listening to the music, as good as it was. The sudden snap of a snare drum, like the sharp report of a starter pistol, and my head jerked up toward the record player. A flurry of organ notes, the product of assuredly nimble fingers on the keyboard, tumbled over each other, filling every shadowy space in my softly lit bedroom. A brief vamp, and a baritone voice crooned, “You know that it would be untrue; you know that I would be a liar…” Fully distracted from any meaningful progress on homework, I hung on every lyric, trying to wrap my head around musical patterns and song structure until my entire psyche was ablaze. The song trailed off as I walked down the hallway to my parents bedroom, where the only semi-private telephone in the house was located. I stretched the wall cord out into the hall as far as it would go and sat down on the floor to dial up Tony. “Whaddya think about getting an organ player for the band?” I proposed. At our next rehearsal, Tony and I decided, with Mike and Bruce in full agreement, to find an organist. 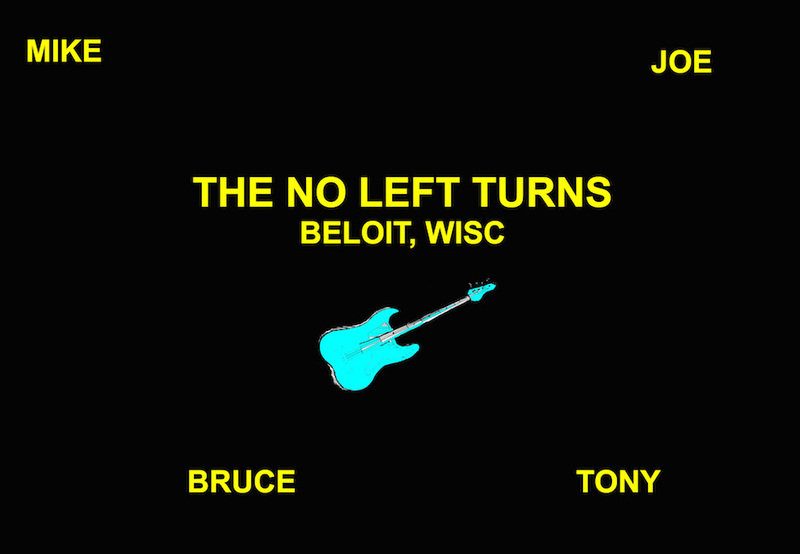 The No Left Turns had recently won the Beloit Jaycees “Battle of the Bands” and would have no problem recruiting more talent. Jim was only a high school freshman. The rest of us were seasoned sophomores and juniors, so we weren’t quite sure how the age gap would work out. Nonetheless, we invited him to audition with us on Saturday afternoon. I had to drive over to his house, just outside of town, to pick him up along with his Farfisa organ. Jim carried it out and put it in the back of my dad’s Studebaker. “Do you have an amp?” I asked, trying to hide my initial disappointment as he climbed into the passenger seat. Arriving at my house, we unloaded the Farfisa, set it up in the basement with the rest of our gear, made our introductions and jumped right into the audition. True to his word, once Jim had set up his Farfisa and plugged into Mike’s amp, he warmed up by playing the opening riff to Light My Fire. Mouths agape, we positioned ourselves with our instruments and worked on learning the song as Jim broke it down for us.